On March 19, 2019 at approximately 1:50 P.M., the Plainfield Police Department arrested year old Benjamin Audet, 36, who is currently homeless, and had six active arrest warrants. Audet was located at his mother’s residence in Plainfield hiding in a basement while Officers were investigating a suspicious incident. Audet was placed in custody and transported back to the Plainfield Police Department. Audet was charged with two counts of Failure to Appear 1st Degree and four counts of Failure to Appear 2nd Degree. 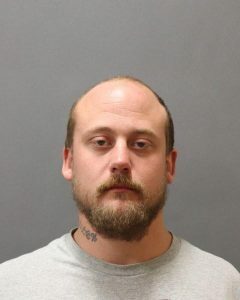 Audet was held at the Plainfield Police Department on court set combined bond of $115,000.00 and was arraigned at the Danielson Superior Court, on March 20, 2019.